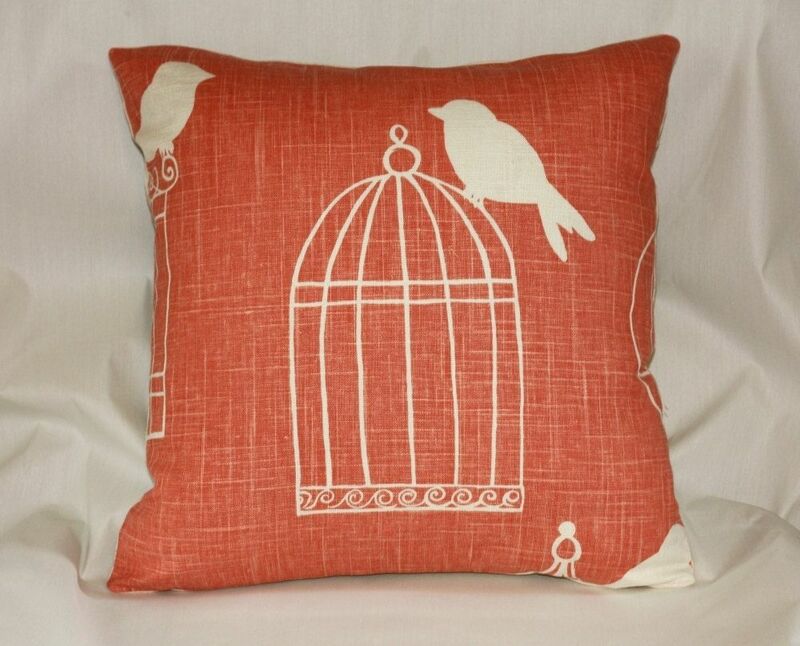 This listing includes one designer pillow cover with zipper, created from Duralee Birdcage in Melon Coral, made to fit a 16" square pillow. It is ready to ship immediately. 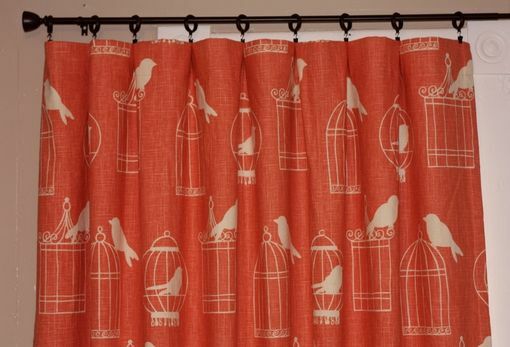 Creating a designer look in your home is quick and easy if you create a neutral backdrop, and then change out your accessories to suit your mood. 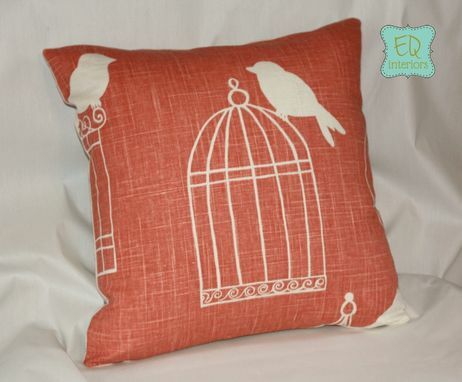 Designer pillows are one of the best ways to achieve this quick and easy change. 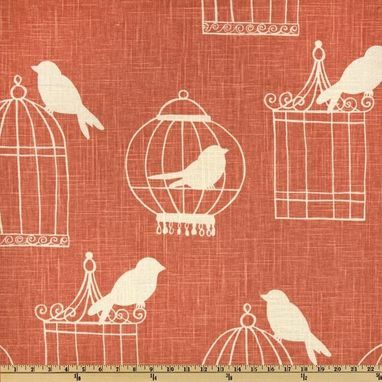 *Duralee Birdcage -- A sweet aviary print featuring birds aloft in cages of different size and shapes. 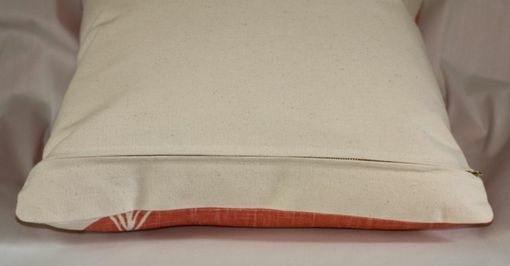 *Size: Made to fit 16 inch square pillow, but will also work with 18 inch square pillow for a fuller appearance.